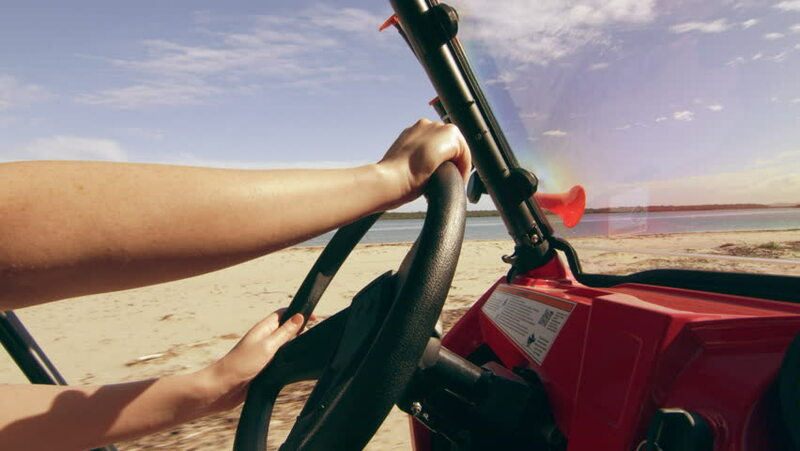 Beautiful woman wearing a hat and sunglasses driving an ATV along the beach towards a forest in Australia, bright natural lighting. Medium shot on 4k RED camera. hd00:10An oil derrick pumping at sunset.